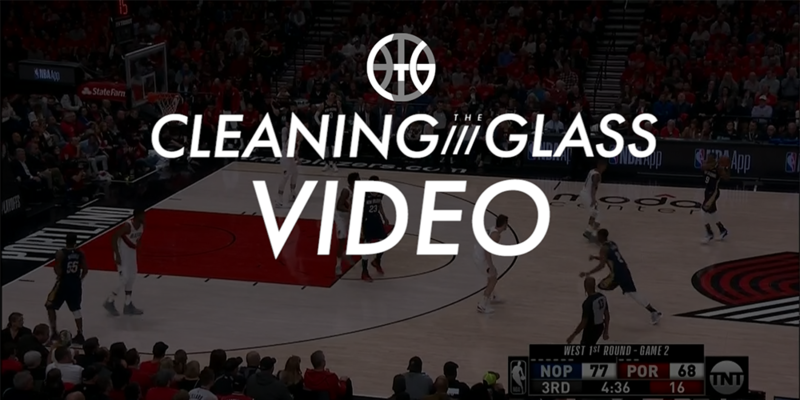 Watch a strategic skirmish between the Blazers and Pelicans, the Heat catch the Sixers on mistakes of execution, and Draymond Green with an out-of-area box out. There’s certainly something to be said for the one-and-done nature of the NCAA Tournament and the NFL playoffs. There’s a tension in a winner-take-all game that is lacking in the best-of-7 series we see in the other major sports. The stakes are heightened when the players and coaches and fans know this it — there’s no Game 2. But what the NBA’s format is missing in immediate excitement it makes up for in strategic narrative, the story that unfolds over the course of a series as teams punch and counterpunch. Basketball is a complex and intricate sport in which strategy can have an enormous impact. When the same teams play each other over and over, the importance of those tactical choices, both big and small, bubble to the surface.